Emma Sankey in Travel on 17 June, 2015. 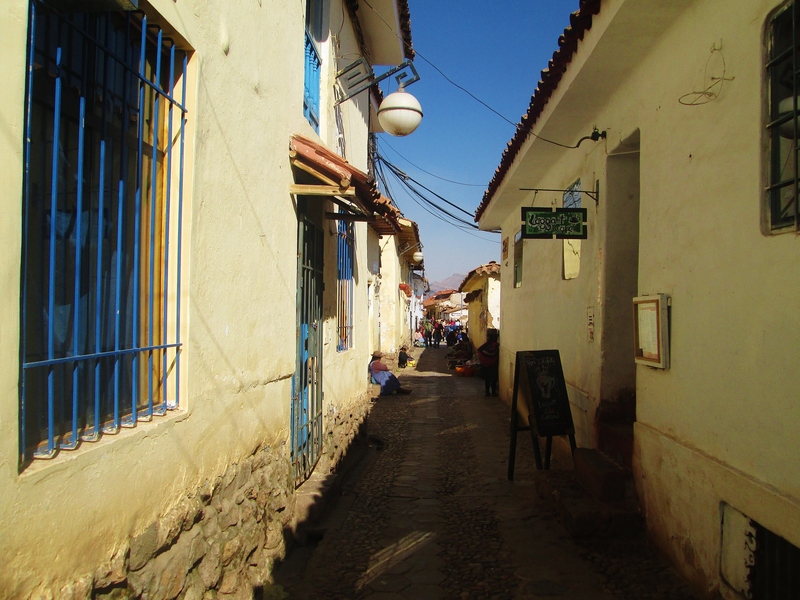 The winding streets of Cuzco’s San Blas district. Part one took you on a thousand kilometre journey from the big city to the big canyon, and you added at least another seven hundred in part two to reach the doorstep of your final destination: Machu Picchu. But what’s the rush? Peru isn’t even short of things to do as you hover ever closer to its very own Wonder of the World. It’s time now to spend a couple of days in Cuzco, the sprawling UNESCO World Heritage Site and historic capital of the Inca Empire that plays host to almost two million visitors every year. Hopefully Puno will already have acclimatised you to the altitude, but some coca tea might still be of use to help pull yourself up the city’s famously steep hills! The heart of this urban area lies in the Plaza de Armas, reportedly the sight of indigenous leader Túpac Amaru II’s death as he fought against the Spanish, and currently dominated by their towering colonial cathedral and church. Don’t miss a visit to the cathedral for a typically Peruvian take on the ‘Last Supper’ where Jesus and his apostles can be seen tucking into a whole guinea pig! It’s also worth taking the trek up into the winding, cobbled streets of San Blas for some artisan souvenirs and into the market for the compulsory alpaca jumper, before popping into the city’s Chocolate Museum – if only to take advantage of its fabulous café! The more adventurous amongst you may even be tempted into a trip just outside of the city for a ride on ‘The Eye of the Jaguar’ – one of the longest zip lines in the world that will see you soaring over the Sacred Valley at 110 km/h. Views over Cuzco from Saksaywaman. To whet your appetite for the trip to come, you should then explore the city’s plethora of Inca sites which are quite outstanding for both their quality and concentration. 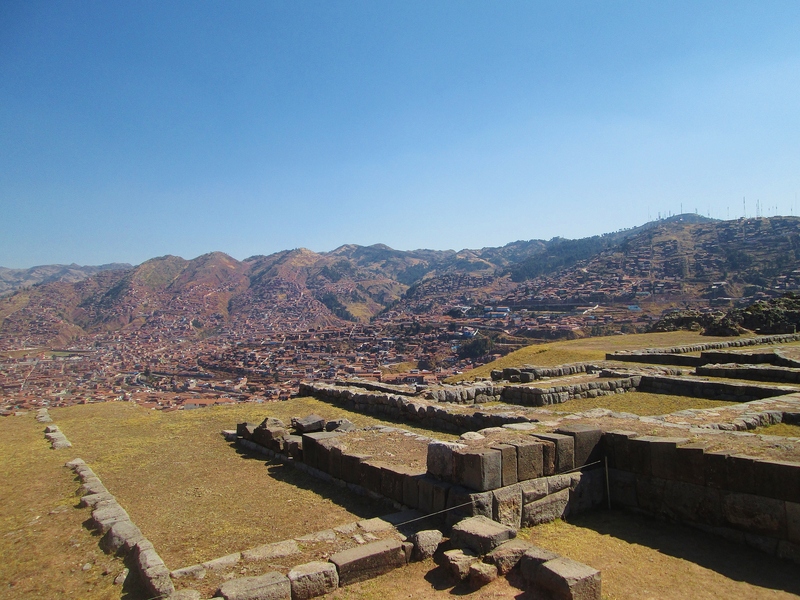 Make it up the hill Saksaywaman for a well-preserved example of a fortified citadel, where you can marvel at both the intricately placed boulders and the sweeping views over Cuzco. Half a mile further on you’ll find Q’enko, a limestone altar surrounded by caves and tunnels. To reach the next two sites you may require a taxi to save yourself a few hours of walking uphill, but it’s worth it for Puca Pucara’s views over the surrounding scenery and the stonework of the Tambomachay baths. In the city itself, head to Qurikancha which was once coated with sheets of gold as the most important temple of the Inca Empire, before these were handed over as a ransom to the Spanish in exchange for the emperor Atahualpa. 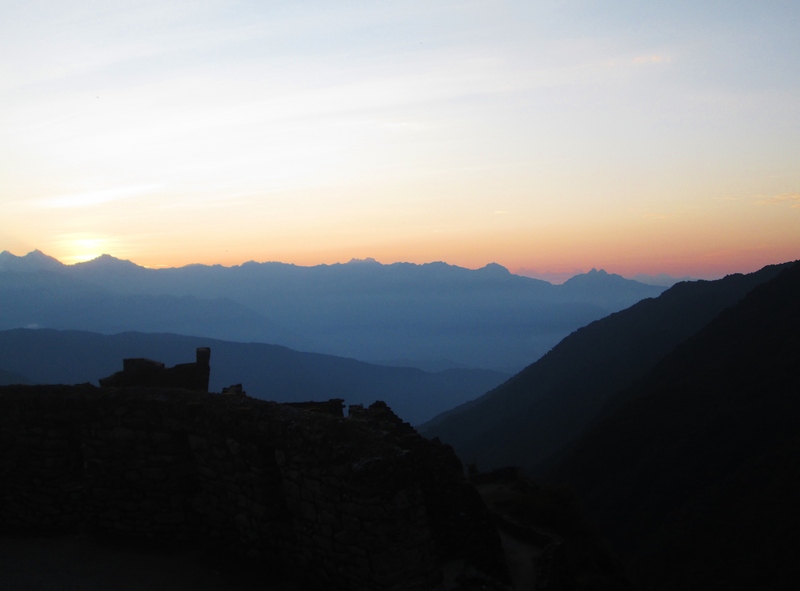 Sunset from Phuyupatamarka on the Inca Trail. Having now explored Machu Picchu’s magnificent context it is time to start your journey there, which presents several different options. For those short on time it is possible to arrive by train and bus via Ollantaytambo and Aguas Calientes, but the true experience and sense of achievement can only be gained through undertaking the several day hike to get there. Popular choices include the Salcantay route which traverses mountainous peaks and subtropical cloud forests over five days, and the Lares route which passes through traditional Andean villages. However, the journey paced by the Incas themselves, and which still retains their inescapable mark, is the renowned Inca Trail. This hike takes a total of four days to complete, rising above the clouds to reveal views of the valley from the 4, 215m Dead Woman’s Pass and descending scores of original stone steps to more tropical climates. But perhaps its most exciting draw is the ruins that materialise around the corners along the way: empty for exploration you can climb farming terraces at Intipata, get up close to llamas at Wiñaywayna, or simply survey your surroundings from the heights of the Phuyupatamarka ruins. Be sure to book months in advance as only two hundred trekkers can enter each day to preserve this once-in-a-lifetime experience for generations to come. The majesty of Machu Picchu. 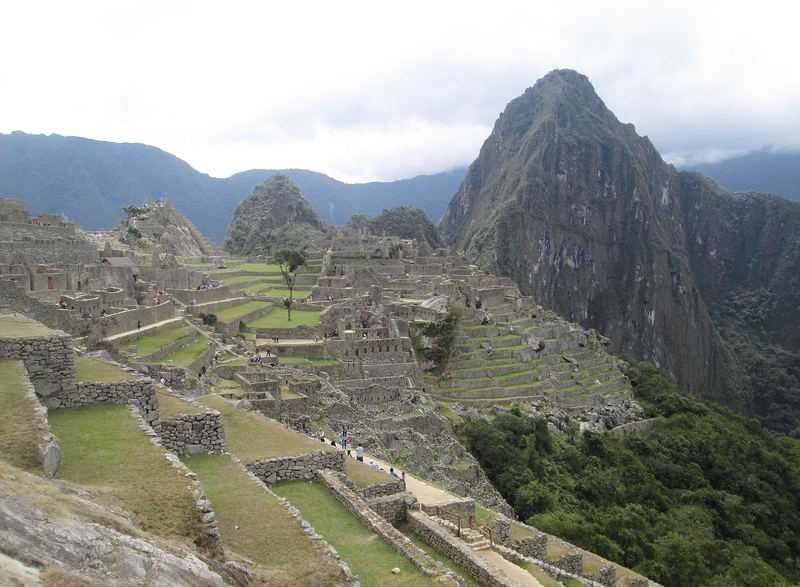 Awaking at 3am on the fourth day of your trek, it is time to enter Machu Picchu. Shuffle on the benches in the darkness as you wait in anticipation to hand over your pass, before traversing the final three kilometres to the steep steps of the ‘Sun Gate’, revealing the ruins spread in all their glory before you as the sun breaches the horizon. You won’t lose this view to your right as you begin your descent to enter the site, finally bursting upon it to be confronted with the picture-postcard view so well known around the globe. A guided tour is the best way to learn about the history of this Inca site of controversial usage – with theories ranging from a temple to a royal holiday retreat – which was eventually abandoned after only one hundred years, but afterwards it is vital to take the opportunity to explore for yourself, and to wander freely through the temples and buildings in the footsteps of this ancient people. It is necessary to book in advance, but do not miss the chance to climb Huayna Picchu for an entirely different perspective over the familiar site. The ascent may be treacherous as you pull yourself up the precariously thin paths with just a piece of rope to assist you, but it is made up for by the bird’s-eye panorama that greets you upon completion. The Chacapoyan city of Kuelap. Huanchaco – A small seaside town conveniently located next to the big city bustle of Trujillo and the expansive archaeological site of Chan Chan, check out this World Surfing Reserve whether you like to hit the waves or the bars. 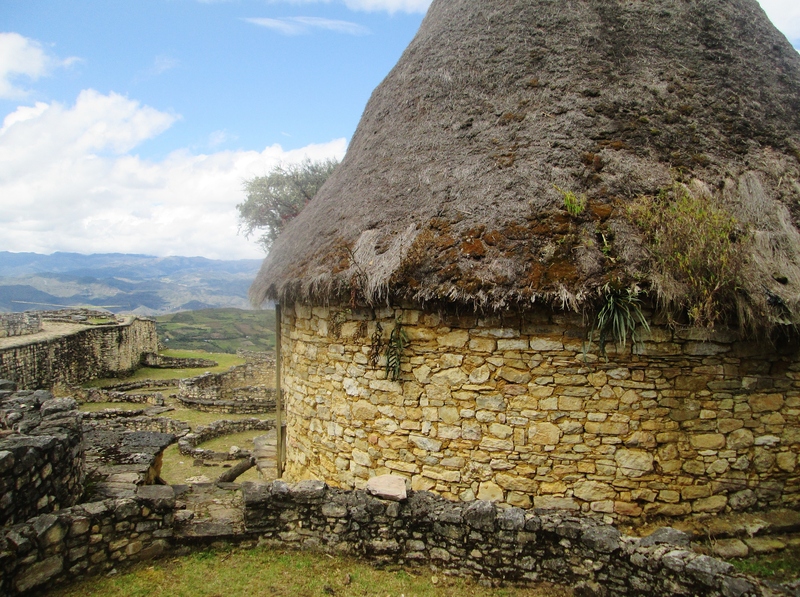 Chachapoyas – This city may not be large, but its charming friendliness and the fact that it punches far above its weight for nearby sights makes it a fantastic place to visit. Try swimming under the Gocta waterfall, or take a trip to Kuelap, an ancient walled city above the clouds. Huaraz – A hiker’s paradise, explore the stunning surroundings of the Cordillera Blanca’s mountainous lakes, including the mesmerising Laguna 69 at a dizzying altitude of 4, 650m. Máncora – With its tropical climate, the year-round sunshine and golden beaches of this resort won’t disappoint. Chiclayo – The highlight of this city is the Museum of the Royal Tombs of Sipan, which plays hosts to an outstanding collection of archaeological discoveries relating to the Mochica culture. Iquitos – The world’s largest city that cannot be reached by road is Peru’s gateway to the Amazon rainforest, whilst also being an exciting, bustling metropolis in its own right. Cajamarca – Best known for its cheeses, check out the famous baths of this city which was the last stronghold of the Inca Empire.